Avatier's state-of-the-art identity and access management software supports internationalization. Our identity access management software can be readily localized in over 30 languages upon installation and at any time forthcoming without a hitch. Localization requires adapting an identity management software product to an organization's language, culture, technical and business requirements. With most software, this process is labor intensive and requires a significant amount of custom development. Avatier's cyber security software support numerous languages including Arabic, Chinese, Korean, Hindi, Indonesian, Japanese, and nearly every European language. Our user interface is designed for localization so business users can engage in self-service provisioning, active directory group management, compliance risk management, and enterprise password management in the language of their preference. Avatier's identity management software is built for adaptability and configuration. Multi-language deployments across an enterprise are routine. Language support from one location to another is our standard operating procedures. Language integration from one user account to the next flawlessly happens. 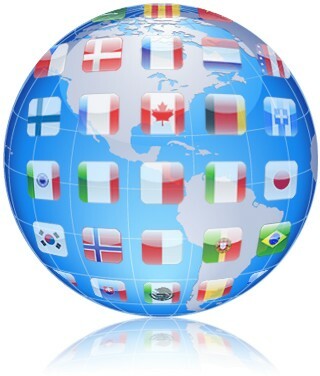 For global enterprises, our software accommodates your needs worldwide. If your office is internationalized, our software can adapt from one account to the next no problem. It's a snap in every language.